The Army Aviation Warfighting Center, Fort Rucker, Alabama, is located in the southeast corner of Alabama. Fort Rucker is approximately 80 miles south of Montgomery and 20 miles northwest of Dothan. Florida’s Gulf Coast lies 80 miles to the south. The communities of Enterprise, Daleville, and Ozark are west, south and east of the post, respectively and serve as our three main gates. The post covers about 64,500 acres of countryside in an area known as the “Wiregrass,” named for a wild grass peculiar to the region. The area is known for its lower cost of living, making it a prime target for real estate investments. The base operator’s phone number is (334) 255-1110 or DSN 312-558-1110. Fort Rucker and Army Aviation trace their origins back to earlier eras, as both were products of World War II. During World War II, America conducted a manpower mobilization unprecedented in its history in terms of total numbers. The United States put into uniform over 16 million men and approximately 333,000 women. 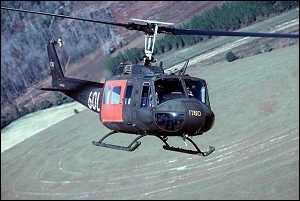 This mobilization called for the creation of new training camps and military bases, including Camp Rucker, named in honor of Colonel Edmund W. Rucker, a Civil War Confederate Officer, who was given the honorary title of “General.” With the consolidation of all Army Aviation flight training at Fort Rucker in 1973, the post became the Mecca for Army aviators. Air Force helicopter pilots have also trained here since 1971, as have students from more than 60 foreign countries. The current mission of the Army Aviation Warfighting Center is to develop the aviation force for its worldwide mission. This mission includes developing concepts, doctrine, organization, training, leader development, material, and soldier requirements. It is also to provide resident and nonresident aviation maintenance, logistics and leadership training in support of the total force and foreign nations for the sustainment of joint and combined aviation operations. Major commands on Fort Rucker include U.S. Army Garrison Fort Rucker, U.S. Army Aviation Warfighting Center, U.S. Army Combat Readiness Center, U.S. Army Warrant Officer Career Center, U.S. Army Aviation Technical Test Center (ATTC), Aviation Center Logistics Command (ACLC), U.S. Army Aeromedical Center, U.S. Army Aeromedical Research Laboratory, U.S. Army School of Aviation Medicine, and U.S. Army Air Traffic Services Command (ATSCOM). To request a sponsor prior to your arrival, simply forward a completed DA Form 5434 to your current Strength Management Work Center (SMGT) or Army Personnel Office. The SMGT will then forward the form to your gaining MACOM or activity here on Fort Rucker who will respond to your request. Depending on your incoming status, whether you are a student, permanent party member, or arriving to a tenant organization, your check-in procedures will vary. Reservations can be made with Army Lodging prior to arriving at Fort Rucker. Reservations for PCS or temporary duty schools are made with no advance restriction. Reservations for other TDYs can be made up to 30 days in advance. Reservations for retirees, graduation and other authorized guests are accepted up to 7 days in advance. Room rates range from $26 to $48 per day, based on occupancy ($5 extra per person). Spouses and family members of incoming soldiers should visit Army Community Service (ACS) located at the Soldier Service Center, Building 5700, Rooms 193 and 390. ACS offers many services and activities for families transitioning to the Army Aviation Warfighting Center including the ACS Lending Hangar, Welcome Packets, employment opportunities, support groups, various workshops and a host of other important information, activities and services. Please make ACS one of your first stops at Fort Rucker and let us become connected to you and your family. Army Community Service is open Monday through Friday, from 07:30 a.m. to 4:15 p.m. Call us for directions or for more information at (334) 255-3161/2887, DSN 312-558-3161/2887.